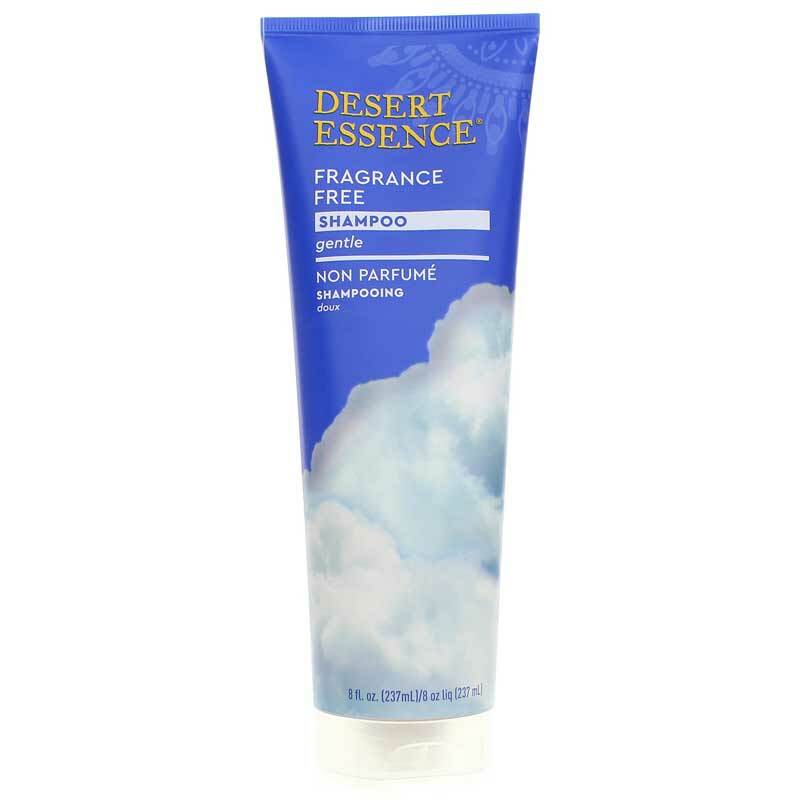 Desert Essence Organics Fragrance Free Shampoo is a gentle yet effective unscented shampoo. It contains organic extracts and oils that provide moisture, minerals and vitamins that hair needs to grow stronger. Your hair will be softer, shinier and more manageable after using this wonderful shampoo. Contains NO: parabens, sodium lauryl/laureth sulfates, phthalates, artificial fragrances or colors, silicones, EDTA, glycol or petroleum based ingredients. Organic Kelp and Nettle Extracts: Provides iron, calcium, potassium and other vitamins and minerals which absorb into and help strengthen each hair strand. I love the fragrance Free shampoo & conditioner! It get's my long hair clean with half the shampoo of chemical shampoo's! Plus its wonderful for pregnancy, without all the fragrances to bother a pregnant nose! These products are great. I've been using the Desert Essence products for 4 years and I love them all but the shampoo is the special to me. 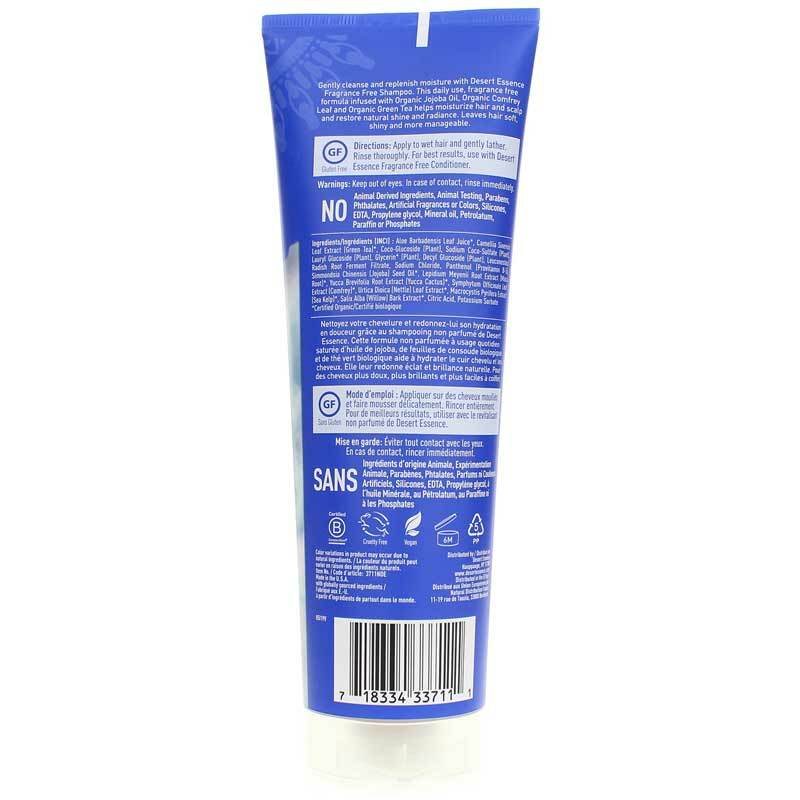 Prior to using the shampoo I kept sores on my scalp. It was very concerning. My hairdresser said it could lead to permanent hair loss. Since I started using the Desert Essence shampoo I haven't had anymore sores. Thanks Desert Essence.